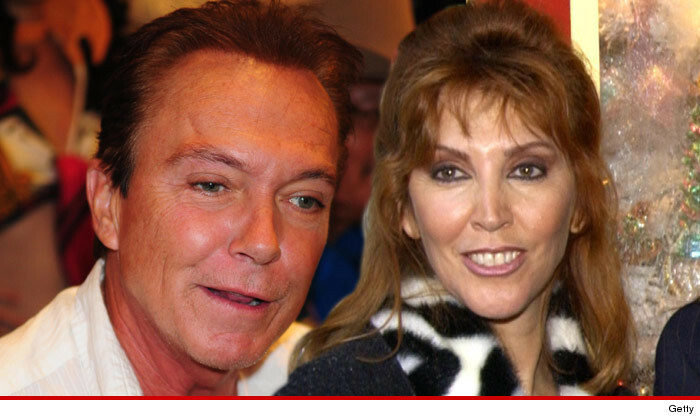 David Cassidy's wife will file for divorce this morning ... ending their 23-year marriage ... TMZ has learned. Sue Cassidy is not saying whether the decision to divorce has anything to do with David's ongoing and often losing battle with alcohol ... but she tells TMZ, "I'm glad David is getting the help he needs and I am confident he will come back better and stronger than ever." David was arrested last month in L.A. for DUI and is currently in rehab. This is his 3rd DUI arrest. The couple has been together for 28 years and have a son, Beau, 23. Sue says the decision to divorce isn't coming out of the blue, saying, "This has been looming for some time." But she adds, "I am truly heartbroken that our marriage is ending." We're told the couple has been living separately for 4 months.